The UK has declared war on corruption with its new Bribery Act, which becomes effective in exactly 100 days. The battlefield is not confined to Great Britain’s shores, however, and U.S. companies must take heed. With its long-arm jurisdiction, the Act applies to any business with operations in, or connections with, the UK. That means unlimited fines, confiscation of assets, debarment from EU contracts, and lengthy prison terms could be in store for those found guilty. And unlike the Foreign Corrupt Practices Act, there is no exemption for facilitation (“grease”) payments or corporate hospitality. When will the long-arm jurisdiction of the law catch U.S. companies? What should U.S. businesses be doing now to comply? 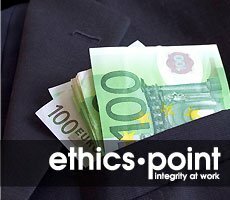 What should a U.S. organization do if it uncovers bribery? This free, one hour webcast is scheduled for Thursday, January 13, 2010 at 12:00 p.m. Eastern. To attend, please register below.